They are work-based training programs designed around the needs of employers, which lead to?nationally recognised qualifications. 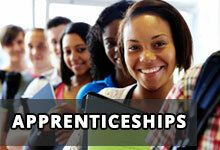 You can use Apprenticeships to train both new and existing employees (age groups include: 16-18, 19+). 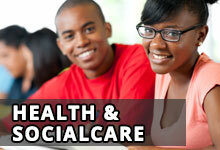 The qualifications are currently funded by the Skills Funding Agency. Apprentices are expected to be on the programme for a ?minimum of 1 year ? bearing in mind that you are learning and earning at the same time. Part of your learning (while you earn) will include in-class learning once a week or as agreed with your tutor. If the employer wants to continue the employment after the programme they are free to do so or if the arrangement is not working out the employer can let the apprentice go at any time. There may be different entry requirements for the different programmes, depending on the occupational sector. You just need to be living in England and not taking part in full-time education. Apprenticeships are open to all age groups above 16 years-old whether you are just leaving school, have been working for years or are seeking to start a new career. You also need to be happy to work as both part of a team and individually, and be able to use your own initiative. Well you may never know unless you give it a try, or at least give us a call. Lots of young people are currently on the programme and indications are that they are finding it interesting, challenging and rewarding. Do not forget that it is a chance to learn and earn at the same time. 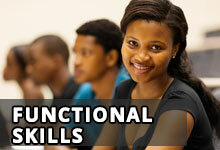 A chance to learn new skills and how to work with other people in a work environment. The apprenticeship programmes are designed with the help of the employers in the industry, so they offer a structured programme that takes you through the skills you need to do a job well. There are targets and checks to make sure that your employer is supporting you and you are making progress. We have been accredited with ISO9001; in recognition of the management systems in place to guide and support the learners through their learner Journey. All of our programmes are accredited by a number of awarding organisations such Edexcel, NCFE, OCR, CACHE, ACCA. These awarding organisations continue to ensure that our practices and support given to each learner is of an acceptable national standard.